We remember the people from those dark days who still survive to this day. Father in heaven, we pray that you will bring your healing balm even today, to those who still bear witness and the scars of that terrible time. Lord, we also ask for your blessing on the CFI project ‘Forsake Them Not’ that works with survivors in Israel. We remember those whose last act during the Holocaust was selfless and courageous. We thank you, Father, that many Christians did not look away, or forget the Hebraic roots of their faith. We thank you that even though we don’t know all their names, or all their righteous acts, your Holy Spirit moved people to save one life, or many lives. 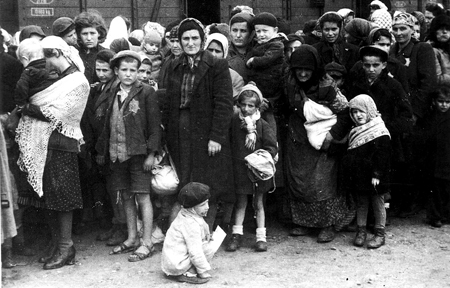 We think on the memory of the bewildered, frightened children of the Holocaust, who were robbed of life or innocence. Today and in the years to come, Lord, help us to pass on a legacy of love and support for the Jewish people – that we will invest in them, in actions and by prayer, a love and respect for life, and the strength to stand up to racism, intolerance and hatred. We remember those who have made it their life’s work to document the atrocities of the Holocaust – so that they will not be forgotten. Lord, we ask that the testimonies and literature written on the subject of Nazi persecution, and the historic evidence of the Holocaust, would wipe away the lies of those who deny the Holocaust; and please impress upon those who lead the UK education system the need to teach all our school children about it. We think about the Jewish communities around the world who were persecuted, and those that were wiped-out during those dark years. Lord, lead our Jewish brothers and sisters into your light, even as they light their Shabbat candles; that forgiveness and healing would flow into each heart. We sometimes light a seventh candle in memory of the gypsies, the disabled, the mentally ill, the Jehovah Witnesses and the others who died with the Jewish people in the Holocaust. Lord, we pray for your mercy on this world; that love for you will rule in the hearts of the able and the not-so-able, the strong and the weak.